Remodeling your kitchen or bathroom can be incredibly stressful. Your entire day can grind to a halt when you are unable to use the kitchen to cook or the bathroom to finish life’s normal daily activities. 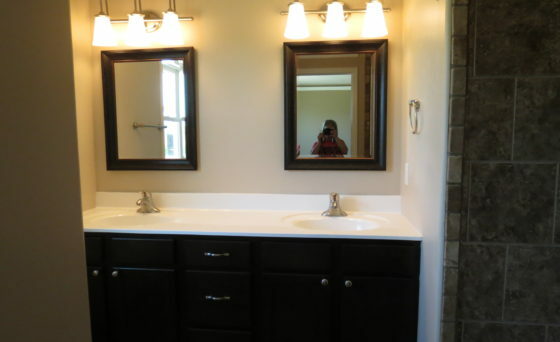 A remodeling project is much easier when you hire a professional contractor. Kitchens and bathrooms require a lot of complex wiring that needs to be safely installed and tested before it is complete. Trapp Electric has been in business for more than 14 years, helping residents create the kitchens and bathrooms they have always wanted. Give our office a call for more information about our quality electrical kitchen and bathroom remodeling services. These are, of course, just some of the wonderful things you have to look forward to when you complete your new kitchen and bathroom. Let Trapp Electric know how we can assist you in achieving your remodeling goals. In today’s world, you can find just about anything on the World Wide Web. It can be tempting to watch a few online videos and then attempt an electrical kitchen and bathroom remodel on your own. However, trying any sort of electrical work without the proper training and experience can be incredibly dangerous. We always urge everyone to call Trapp Electric first to discuss your remodeling plans. You will be surprised how affordable our services can be. If you are in need of help with your electrical kitchen and bathroom remodel, Contact Trapp Electric today. Call (309) 444-8188 to schedule your appointment today.